Is your home filled with pint sized soccer fans? 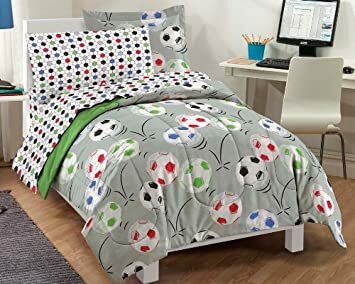 This groovy bedding set featuring multi color soccer balls comes in either a full or twin size & works for boys or girls. How could you go wrong? Soccer Ultra Soft Microfiber Comforter Bedding SetBuy It!